Though President Obama has pledged to keep 12,000 American troops in Afghanistan through the end of the year, it’s no secret that the White House’s focus on the war-torn country is waning. When those troops, largely still in place to train and equip the fledging Afghan National Security Forces (ANSF) and Afghan National Army (ANA), finally depart the country, Kabul will need a new patron to guarantee its security. Who will step up? A new policy innovation memo authored by Alyssa Ayres, Senior Fellow for India, Pakistan, and South Asia at the Council on Foreign Relations reframes that question as a conversation. For Ayres, Washington must work with Delhi to stabilize Afghanistan’s fragile economy, military, and institutions while doing as much as possible to quell Pakistani anxieties. Can that approach succeed? It depends on where you look. On Thursday, a green-on-blue attack left an American soldier dead in the eastern province of Nangarhar, another sign that the ANSF’s fight this summer won’t be a walk in the park, with enemy combatants lurking behind the guise of military uniforms. In his quarterly report to Congress in January, the Special Inspector General for Afghanistan, John F. Sopko, openly feared that American personnel were having trouble adding up the ANA’s true force strength. A revised count showed further attrition in those ranks, with an 8.5 percent drop, to 169,203 troops in January. 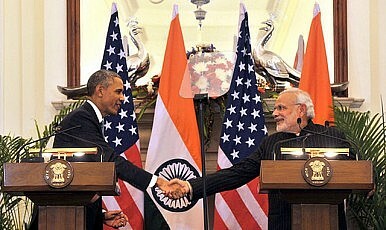 India and the U.S. also face a fluctuating security climate. Civilian casualties nearly tripled last year from 2013, with Taliban and insurgent forces in the southern provinces of Helmand and Kandahar capitalizing on the tumult surrounding the run-off election to succeed Hamid Karzai. With Afghan forces leading the way in the south this year, almost anything could happen. Sangin District remains a bloody angle in Helmand’s northern section that continues to fester: militants use the embattled area as a launching point into neighboring Kandahar. With that fight looming, Delhi could play a crucial role. Ayres sees India as a linchpin in Afghanistan’s nascent civil society, accounting for 27 percent of Kabul’s export market. They’ve pledged an additional $2 billion in foreign assistance and helped to train Afghan civil servants and tradesmen for careers in government and the marketplace. When Karzai’s relationship with Pakistan fell into disrepair, he agreed to a partnership pact with then-Prime Minister Manmohan Singh, and contracts for heavy weapons assistance, later scrapped by his successor, President Ashraf Ghani, perhaps over concerns of upsetting Pakistan. So how can Washington prevent Islamabad from playing the spoiler? Ayres, who served as deputy assistant Secretary of State for South Asia from 2010 to 2013, suggests that Washington should be straightforward with Pakistan about boosting India’s role in the Hindu Kush. By bolstering plans for economic integration in the region, building on India’s private sector support to develop market connections and trade routes, like the Attari road, and implementing of the Silk Road initiative, Ayres thinks a partnership between Washington and Delhi could be a boon to regional stability. India enjoys high approval ratings all across Afghanistan, but the partnership will need Ghani’s approval to be successful. If the weapons contract is any indication, his support could be tough to win.